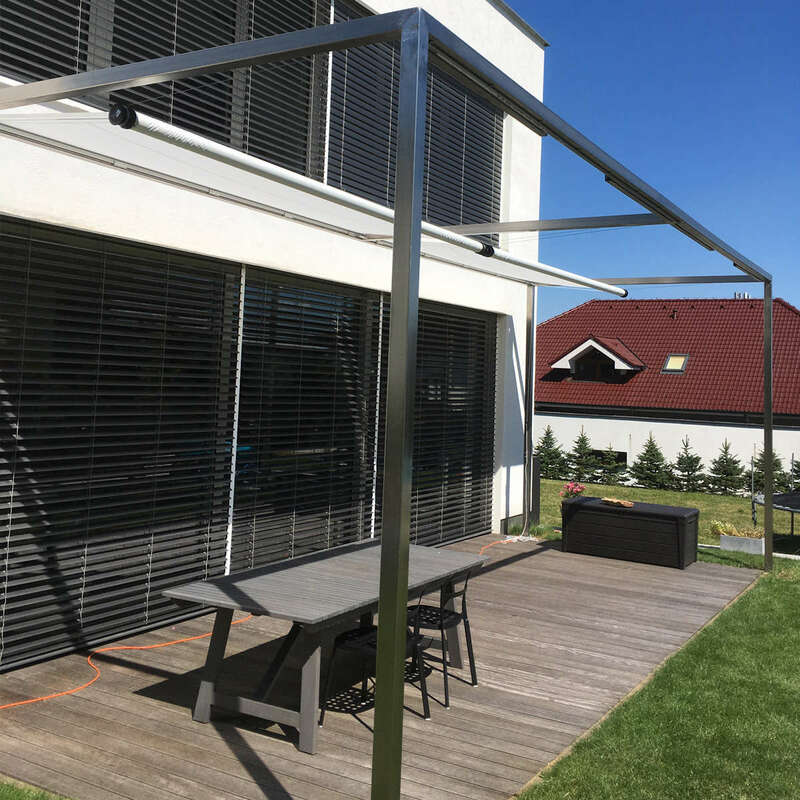 This simple, manually operated shade rolls out in seconds. 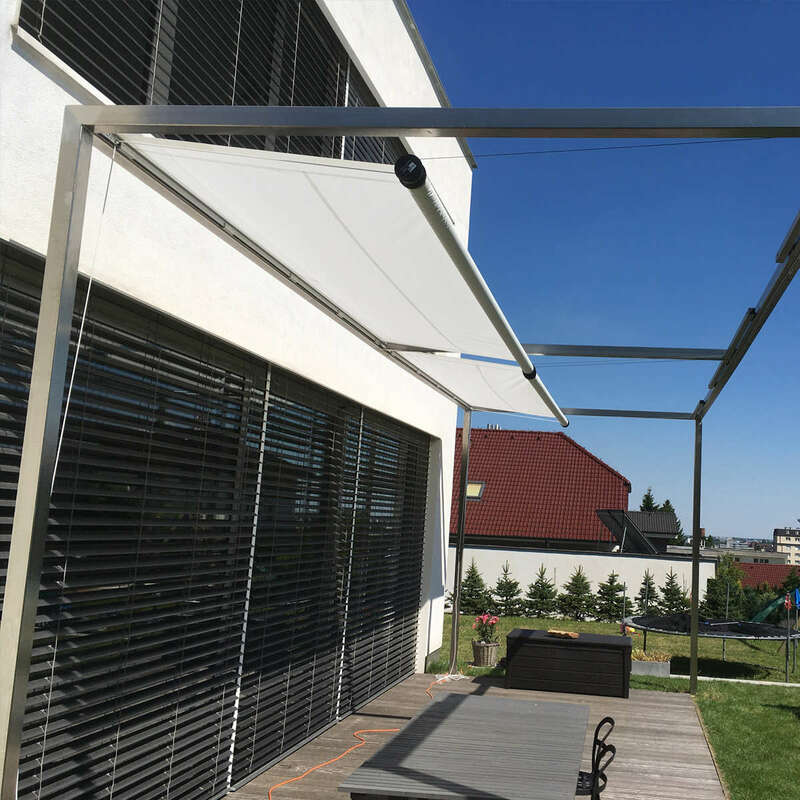 Installation options offer flexibility for mounting. The CUBE option is new using slender square section supports frames. 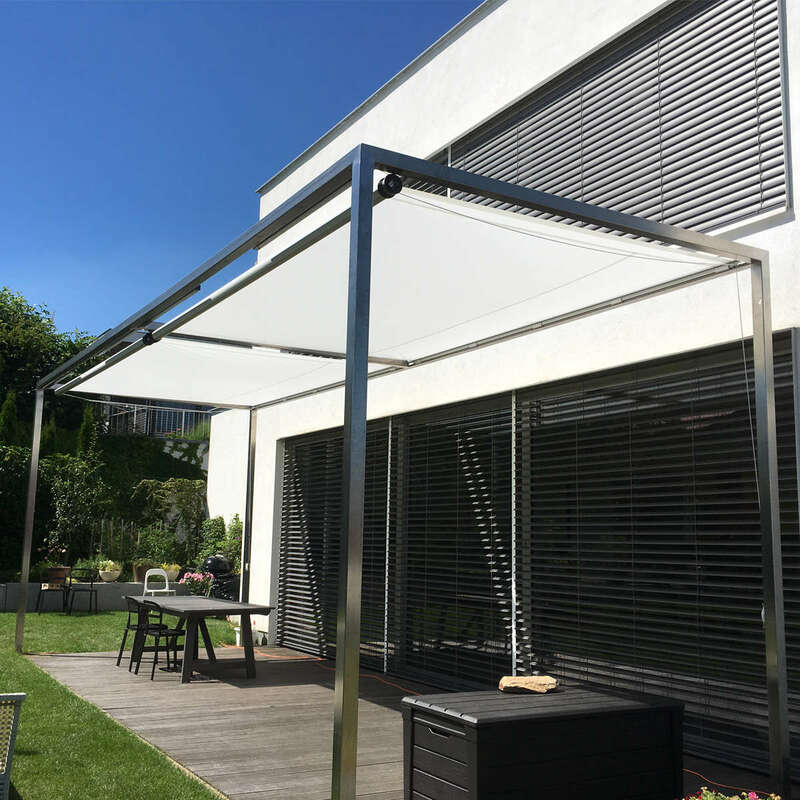 joining frames creates larger shaded areas.Custom sizes to suit each location. Motorised open/close now available.